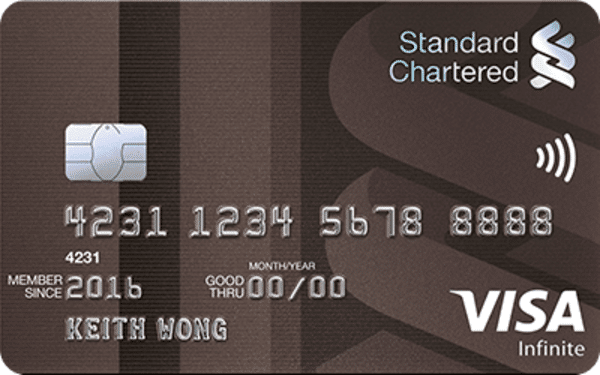 Is the Standard Chartered Visa Infinite the best way to buy miles? 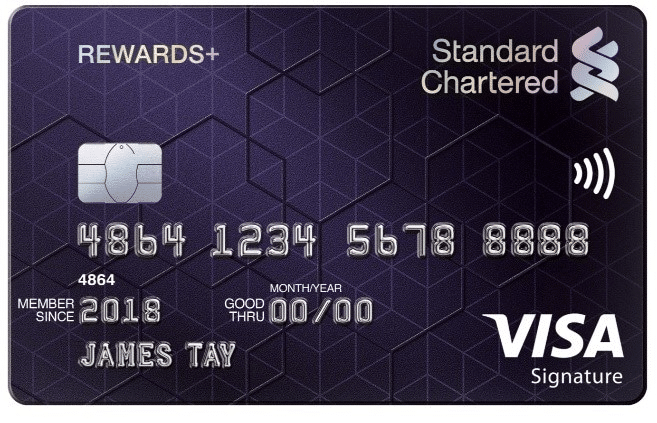 21 Comments on Is the Standard Chartered Visa Infinite the best way to buy miles? There's a unique opportunity to buy miles really cheap with the SCB Visa Infinite...but you'll need to act by 15 October. Although the SCB Visa Infinite is positioned as a mass affluent offering (with a $150,000 annual income requirement), it doesn’t have many of the perks you’d expect of cards in this segment. For example, the Priority Pass it comes with is limited to 6 free visits a year. There’s no airport limo service and no other bells and whistles like the AMEX Platinum Reserve’s Tower Club access or the Citi Prestige’s fourth night free benefit. Consequently, I think that other cards in the $120K-150K income segment offer a much more compelling value preposition in terms of benefits. But viewed as a means of acquiring miles at a really low cost? That’s an entirely different story altogether. The regular annual fee for the SCB Visa Infinite is $588.50, and you get 35,000 miles upon signing up. However, if you sign up for a SCB Visa Infinite card via SingSaver before 15 October, you’ll get a $150 cash gift if you’re a new to bank customer, or $100 otherwise. That reduces the net cost per mile to 1.253/1.396 cents each for new/existing customers. To get your rewards, you need to register here after you finish applying. Please remember to do this step! But you can do even better. SingSaver is also offering the SCB Rewards+ card, with $150/$100 cash for new/existing customers. This card comes with a first year annual fee waiver. SCB is separately offering $100/$20 cashback on the Rewards+ card for new/existing customers. So in a best case scenario where you’re new to bank, you could get up to $150 + $100 + $100= $350 when you sign up for the card. This brings down the effective first year annual fee to $238.50, or 0.68 cents per mile. Even if you’re an existing customer, your haul would be in the region of $100 + $100 + $20= $220, which brings the first year fee down to $368.50, or 1.05 cents per mile. However, you’re going to want to take advantage of this offer before 15 October. That’s because on 16 October, the SingSaver cash gift for new/existing customers drops to $50/$20, changing the math considerably. In addition to the annual fee, there’s another great feature about the SCB Visa Infinite card that lets you pick up miles on the cheap. In a previous article about earning miles on tax payments, I mentioned that some credit cards offered tax payment facilities. How this works is you send your NOA to the bank, which credits the tax payable amount to your bank account. You then use that money to pay off IRAS, and the bank charges your credit card for the tax payable amount plus a processing fee. This charge is eligible to earn rewards points. The SCB Visa Infinite tax payment facility earns 3.5 Rewards Points for every $1 of tax charged to the card (1.4 mpd), assuming you spend a minimum of $2,000 in a statement period (this $2,000 includes all your spending, not just tax payments). You earn 2.5 Rewards Points if you spend less than $2,000 (1 mpd). Assuming you spend more than $2,000, you’re essentially paying a 1.6% processing fee to earn 1.4 mpd. That works out to be 1.14 cents per mile, which is a fantastic price to buy them at. You can only use the tax payment facility for your personal income tax (i.e. no paying the tax bills of family or friends). Have a read of the full FAQ here. If you play your cards right, you could pick up some miles really cheap with this promotion that will help you offset your SCB Visa Infinite’s annual fee. The card also offers discounts on rooms, restaurants and bars at The Fullerton Hotel Singapore or Fullerton Bay Hotel Singapore plus discounted rates on rooms at selected Banyan Trees, Andaz Singapore and YTL Hotels. Whether or not you think buying miles is worth it really depends on how you value a mile. 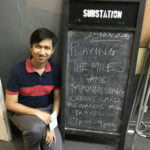 You can check out some of the other ways of buying miles in Singapore (legitimately) here, suffice to say that 0.68 and 1.14 cpm are really as good as it gets. The catch, if you want to call it that, is that the SCB Visa Infinite is not available to everyone- you need an annual income of at least $150,000 to apply. 35,000 miles is enough for a round trip Business Class flight to Bali, or a one-way Business Class flight to Shanghai, Beijing or South Asia. The renewal reward is an utter joke – 20k miles for $589. Better than hsbcvi which was zero miles for similar price! I actually like this card (albeit considerably less after the first year.) It’s earning rate for SGD transactions (1.4 mpd) and foreign ccy transactions (3mpd) if monthly spend is more than sgd 2000 is better than all other mass affluent cards and its the best card to pay income tax. You may get an email from Scb… or you should be able to call up and request it. no email so i called and they said only will show up in the system in the next 2-3 working days. before 15 oct means up to 14 oct midnight right? Yes, as long as you submit today you’re fine. Does anyone know what is the minimum period we must hold the card for? Thanks. The last time I handed in NOA or payslip to bank for credit cards was 5 years ago. These days, CPF monthly contribution shall suffice! 1) Are you talking about credit card application? The NOA process being discussed here is for the bank to know how much income tax you have due (so it can credit the amount for tax payment). Doubt CPF is relevant here. 2) Since CPF contributions only apply for first $6000 of monthly salary, you’ll find that NOA/payslip is probably still required for cards with higher income requirement. Hi Lois.. Actually, it also depends on what kind of work one does.. For example, those who have Basic + Commissions as total income, will have a higher ceiling than the $72k p.a…. Ah, that’s true. Hadn’t thought of that. Thanks for highlighting! I had this card before, and submitted my application to pay my tax. I got a mailed reply saying my application was rejected. Called them and asked why (I’m pay in full every month) and they just gave me the same answer. Had enough of them and cancelled the card on the spot. HSBC revolution card barges 0.7% processing fee but get points. HSBC premier master 0.5% processing fee. Wouldn’t that be better? I’ve had this card before but cancelled after SC refused to waive the annual fee or bribe me with sufficient miles. I quite liked the card though and was sad to see it go. Does this compare to HSBC premier card 0.5% processing fee or hsbc revolution card 0.7% processing fee? Next Entry Accor Plus membership: what are the benefits and should you get one?